Yes, she was dirty, but the smile on her face was COMPLETELY worth it! 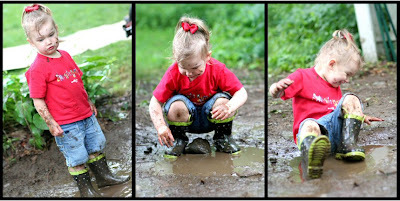 Besides, with all this rain we've had, what else is there for a 2 year old to do? 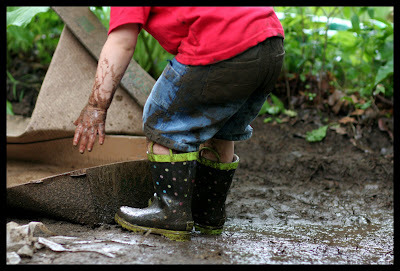 From the stories I have heard from my parents, I found great pleasure in getting completely covered in dirt too. Like mother, like daughter I guess.